Nice movie. The story line is very good. Acting of the main characters is really good too. Awesome movie, Great direction and screen play. worth your time. What a great movie! Absolutely brilliant !! Wow. A breeze in the desert. 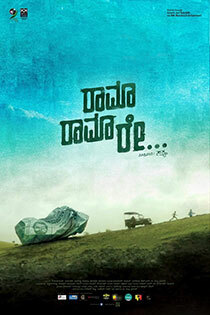 The story telling was brilliant and definitely a path breaking movie in Kannada. Has to rank alongside some of the best Kannada movies ever made. Absolutely loved everything in this movie. It is refreshing to see new experiments in Kannada. The whole movie comes together with Krishna/Partha song and what a song it is. Very nice movie depicting human values. Absolutely brilliant movie.Every single role is amazing.Salute for cinema industrie. Usually I don't write comment. But this is I believe a first of kind in Kannada movie. Excellent movie. It is not a typical one but simple and yet powerful. Enjoyed it. This will be a new benchmark for Kannda movie industry. Great movie. Final touch of bhagavad gita. brilliant movie !! kudos to the team !! Brilliant movie! Beuatiful ending !